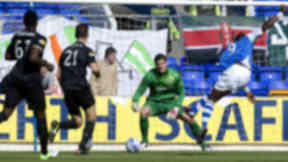 The St Johnstone striker was delighted to net his first goal in Scottish football. Rowan Vine says his winning goal for St Johnstone against Celtic is ‘right up there’ with his career highlights. The 29-year-old, who moved to Perth in the summer, netted his first goal in Scottish football in his fifth appearance for Steve Lomas’ men. And Vine, who said he has been a follower of the Hoops’ city rivals Rangers, was thrilled to help his team to their first league win of the campaign. Substitute Nigel Hasselbaink dribbled from the right touchline before laying the ball off for Vine. The Englishman cut inside Mikael Lustig before curling the ball into the corner of the net past Fraser Forster. 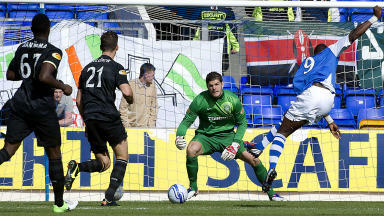 He said: "I'm not a huge fan but I do like Rangers and it was nice to score against Celtic. "I only came up to play for St Johnstone, there was interest (from Rangers) but I didn't really take it anywhere, I wanted to be here, I didn't speak to them. "But to score against Celtic has got to be right up there, it was unbelievable. "It was a great team effort. Their early goal gave us a massive task but we did show character. "It was intimidating at home, they had two stands (full of fans) and for them to get an early goal made it an uphill task but we stuck it out and got our rewards."